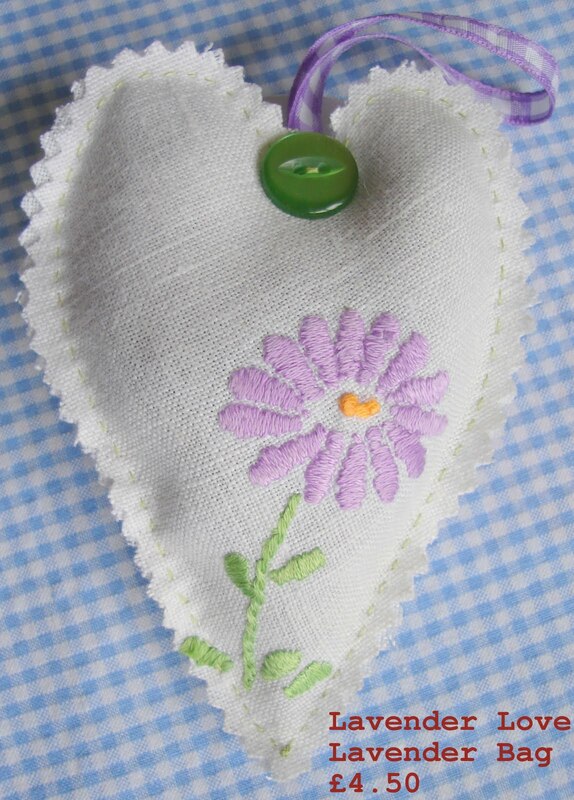 A pretty little lavender bag to keep your room or clothes smelling sweet. 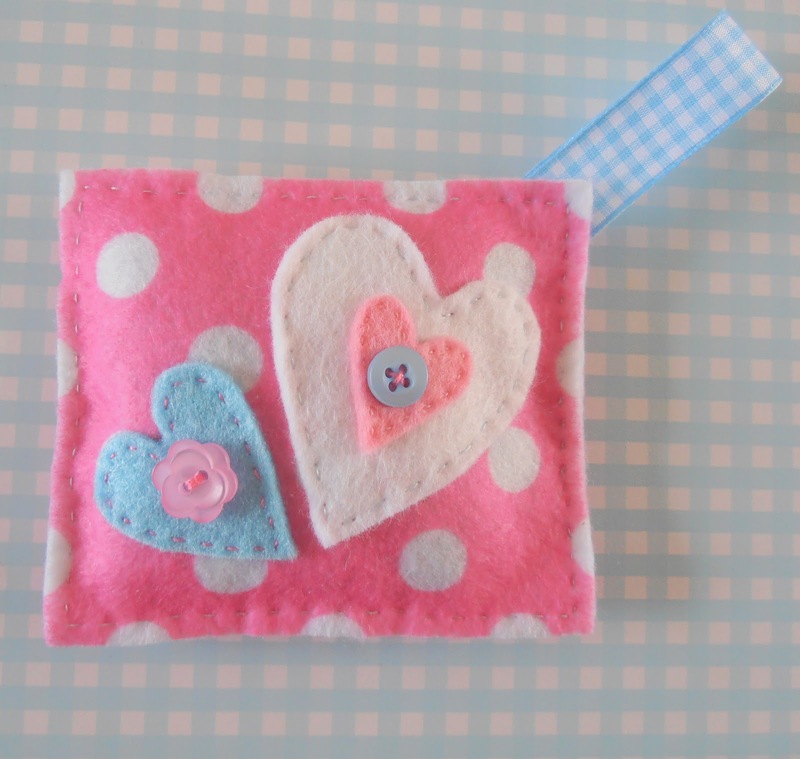 Completely hand stitched using soft pink and white polka dot felt with felt and button heart embellishments. Filled with lovely lavender grown in my Mum's garden and finished with a blue gingham hanging loop so that it can be hung on a clothes hanger or hook. Alternatively pop it in a drawer to keep it smelling sweet. 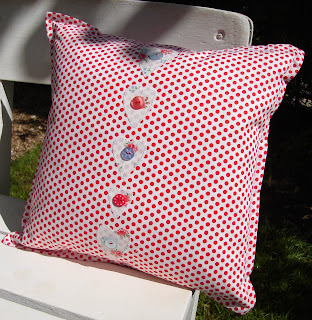 A very pretty cushion cover that would look particularly sweet in a little girls bedroom. Cute polka dots in red decorated with floral hearts and pretty buttons. With an envelope opening at the back. A sweet little home for your needles and pins. Pale pink and lush green felt combined with a pretty decoration of buttons. A little selection of cuteness. Use this hand cut and stitched hearts for various projects. They would be so sweet turned into little brooches, or used to decorate scapbook pages or hand made cards. Here I've used a pretty old piece of embroidered linen cloth to stitch the sweetest lavender bag. Decorated with a pretty green button and gingham hanging loop so you can hang it close to appreciate the lovely lavender scent. Keep your boiled eggs toasty warm with this cute little cosy. Hand embroidered with love by me. Thank you for visiting my little blog shop. I will be adding new items regularly to this little space. 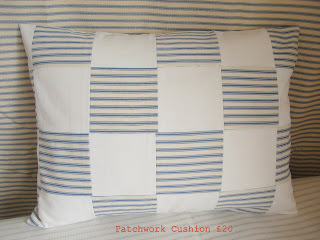 I make items for your home such as cushions, table linen, bunting and egg cosies. 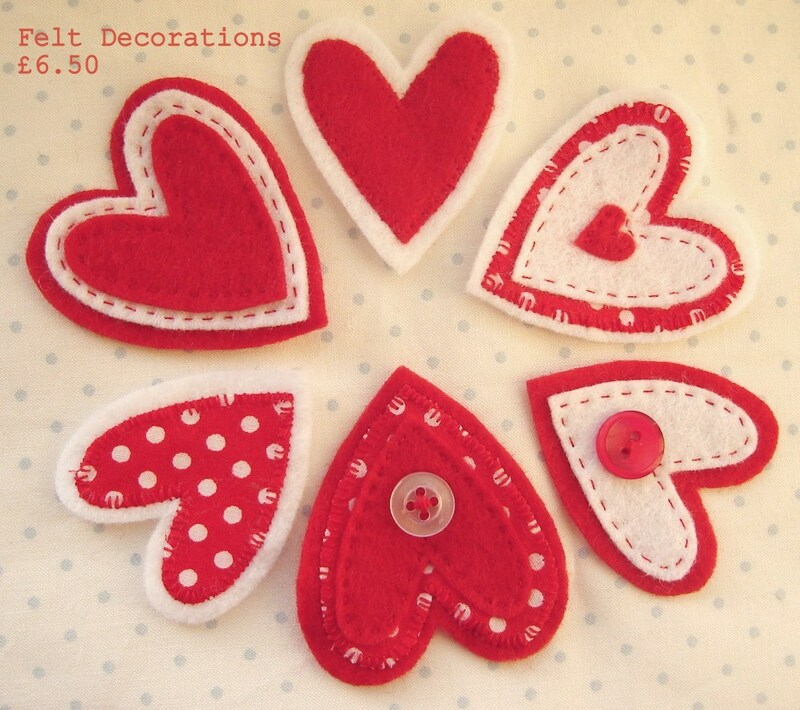 I also like to make pretty embellishments for use in crafting as well as pretty corsages and needlecases. In other words quite a mixture! But I hope you like what I create. I'm a busy stay at home Mummy and try to fit my creating in around my gorgeous boy. I sometimes flirt with using a neutral colour pallet in my work but I can't get away from the fact that I love colour. 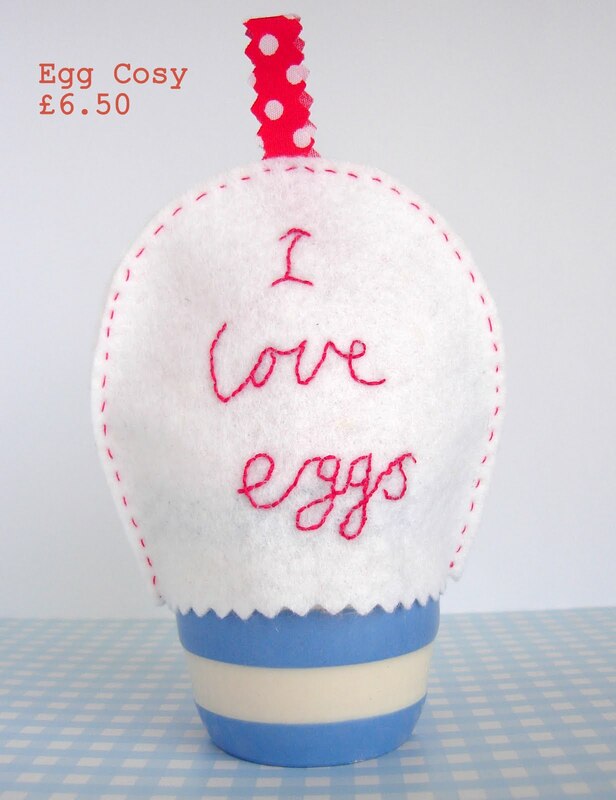 I love to work in felt, linen and cotton and embellish my work with buttons, ribbon and hand embroidery. Most of my items are one of a kind. Please contact me via the comments section after each item if you would like further information on the item. I am happy to undertake custom pieces so please don't hesitate to ask. Please click on the 'buy now' button to pay by paypal. 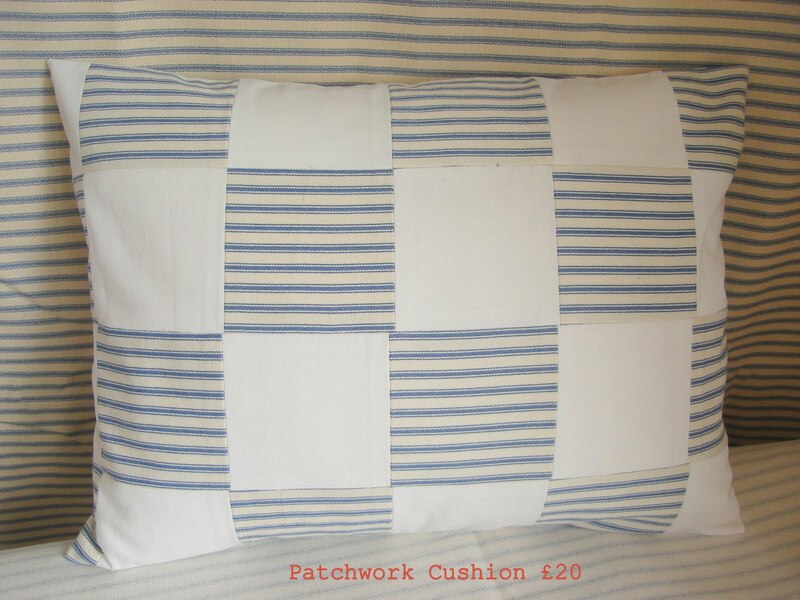 I charge just a minimal postage and packing fee of £1 for smaller lighter items and £2 for larger heavier items such as cushions. I will post out within three days of purchase. If this is not possible then I will always let you know of any delay. Please don't copy any of my designs or images. Thank you.